Montreal’s foremost purveyor of talk box and synth-fueled electrofunk, Chromeo is the latest in a long line of respectable DJs and producers to try its hand at !K7’s venerable DJ-Kicks mix series. Now with 31 installments—and past contributions from Carl Craig to Hot Chip—DJ-Kicks leaves no stone unturned in the DJ world’s various genres, which presents Chromeo with some pretty big shoes to fill. On the whole, the duo’s track selection complements its sound well. 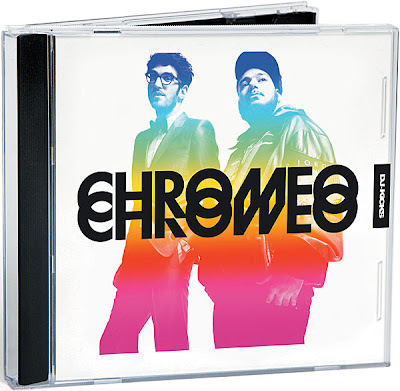 From the Talking Heads–style boogie of Pierre Perpall’s “J’Aime Danser Avec Toi” to the ’80s big beat of Donna Allen’s “Serious,” and even the haunting Italo of “Solar Antapex” by Paris’s Chateau Marmont, we get a clear snapshot of the Chromeo sound through the filter of its record collection. Unfortunately, just as its ironic take on ’80s dance music gets old after a few spins, so too does its DJ-Kicks. Article: Kid Sister | Work Hard. Play Harder.